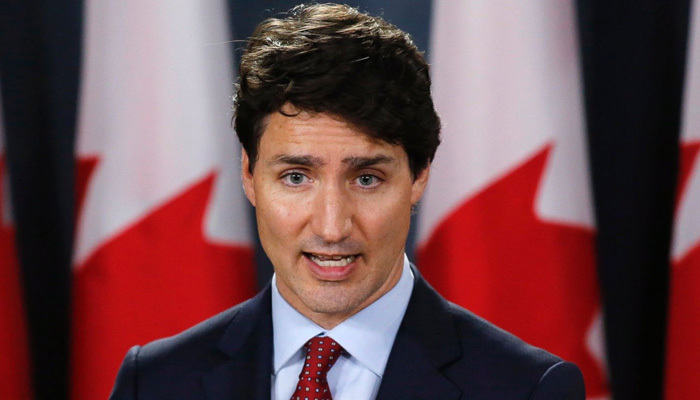 Canadian Prime Minister Justin Trudeau expressed concern Thursday over reports that human rights activists in Saudi Arabia face the death penalty. The two countries are locked in a diplomatic dispute over Canada’s criticism of the kingdom’s human rights record, but Trudeau said Canada continues to “engage diplomatically” with Saudi Arabia. The five stand accused of inciting mass protests in mainly Shiite areas of the kingdom’s oil-rich Eastern Province. Human rights groups say that the execution threat is a calculated bid to stifle dissent. “I think it’s important to have positive relationships with countries around the world,” Trudeau told a press conference in British Columbia. “At the same time, we have expressed our concern with the sentence handed down by Saudi Arabia, our concern for defending human rights and our shared values all around the world,” he added. “Canada will continue to stand up strongly for human rights,” said Trudeau. Two weeks ago Canada called for the immediate release of detained activists, including award-winning women’s rights campaigner Samar Badawi. Saudi Arabia froze all new trade and investments, moved to pull out thousands of Saudi students from Canadian universities and pledged to stop all medical treatment programs in Canada. State airline Saudia also suspended flights to Toronto.